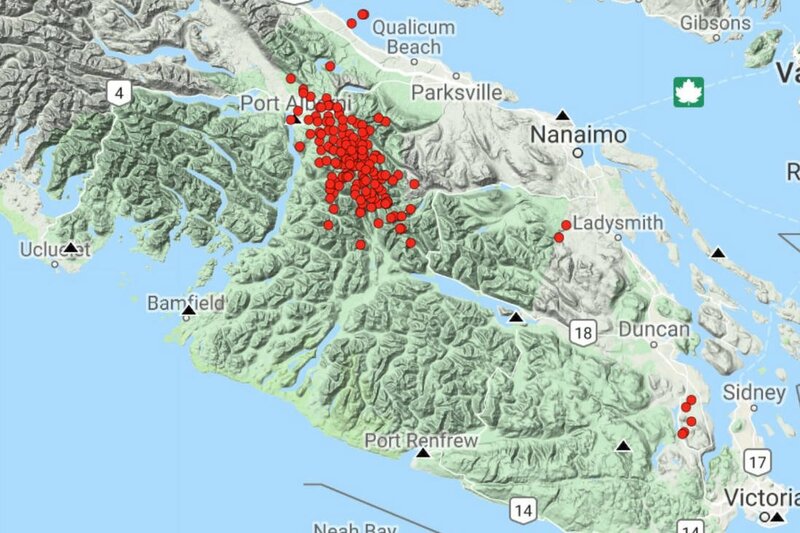 More than 150 tremors have hit Vancouver Island in the last 24 hours, and seismologists are monitoring the situation to see if it turns into an Episodic Tremor and Slip event. These events add pressure to the locked Cascadia Subduction Zone fault. 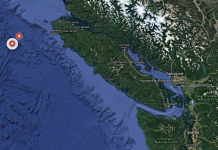 Vancouver Island is normally moving toward the Lower Mainland at a rate of about one centimetre per year. But every 14 months or so there is a Tremor and Slip event, when Vancouver Island slips backwards a few millimetres towards Japan. Seismic recording instruments show Victoria moving in one direction and then changing direction for about two weeks during these episodes. These events add pressure to the locked Cascadia Subduction Zone fault. You can see the energy building up slowly and then dropping off slowly, says Cassidy. It’s not a typical earthquake signature. It’s more of a rumbling vibration sort of signal. 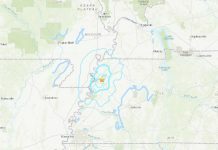 The tremors are recorded and mapped out, to show where the slip is taking place. It helps to identify the locked portion of the subduction fault where all the energy is being stored for future earthquakes. 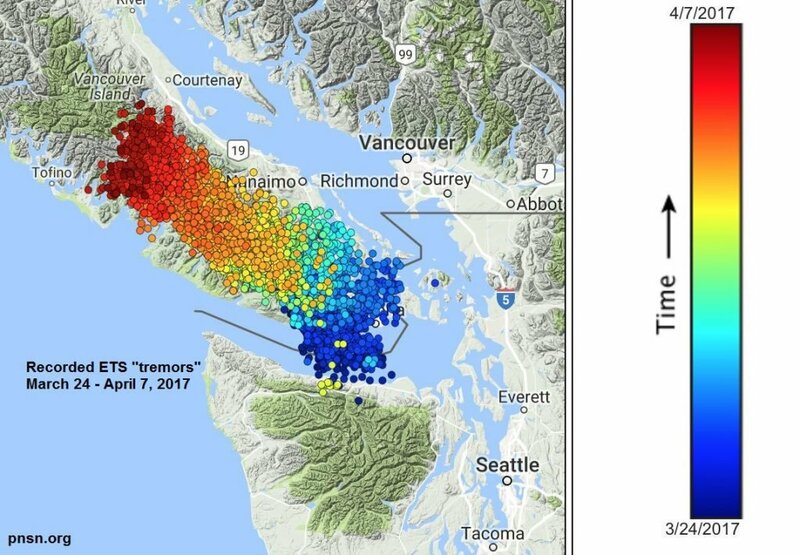 So now the big question is where this energy will be stored on the major and destructive Cascadia Fault zone! Look at Intellicast radar right now! Click the Layers, then temperature. You can see -40 degree on the Gulf of Mexico near boarder between Louisiana and Texas. Around there, water temperature are 84 & 86 degree. Why the temperature is -40? Something is going on around there. I have never seen -40 on Gulf of Mexico where water temperature is quite high like hot springs. Click the Layers, then temperature. You know? McAllen is the city with facilities with Mexican young people inside the cages. This flood is obviously an attack from Galactic Federation of Light. Galactic Federation of Light does not like this Government giving Mexican young people to the organization of human trafficking. They might end up in the Human Meat factories and Blood Sacrifice for reptilians who needs human blood to keep their human figures. A terrible flood occurred in China this month. It looked like many people died. It starts after 20:00 on this video. Viewer discretion is advised for some disturbing contents (floating bodies). Even I live in north Alabama, I see many logging trucks passing highway 247. Some places are completely deforested in the Wildlife Management Area. Who is managing and own the Wildlife Management Area? What is the purpose of the Wildlife Management Area? It is really suspicious. Wildlife = Reptilian life = Reptilian Underground Base? There are so many floods all over the world everyday! You cannot see those information very much on your TV news. They do not want you to know something is going on, and the Earth is changing. After the huge floods stroke many parts of the US including the cities of Texas at Mexican boarder, Trump finally changed his mind to end Mexican family separation. He signed this executive order on Wednesday morning. 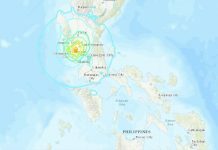 Today’s seismographs all over the world have very active movement. Today is the Summer Solstice that we are going to have more higher frequency (=vibration) on the Earth. More energy is coming into the Earth from outer space and Sun movement. This energy might be the reason that we have more active vibrations on the Earth.